Today after a long day at work I came home ready to kick back and watch Corrie whilst nibbling on Christmas chocolates which still aren't finished. My plans went straight out the window after reading Hannah's Moment's that Mattered giveaway post. After reading her 2013 moments my brain went into overdrive thinking about my 2013. 2013 was the most eventful and life changing year of my life. Thankfully everything that happened made my life better and made me a happier person. I'm not sure I could pick one moment in particular but I can narrow it down to 2... or 3. The first big moment of 2013 was the completion of my dissertation and the end of my 4 years at university. I worked for months on one piece of work which in the end seen me be rewarded with a 2:1 Bachelors of Education degree. It was an amazing feeling to hand in my biggest piece of work, celebrate with my friends and be rewarded with a graduation day surrounded by my friends and family. 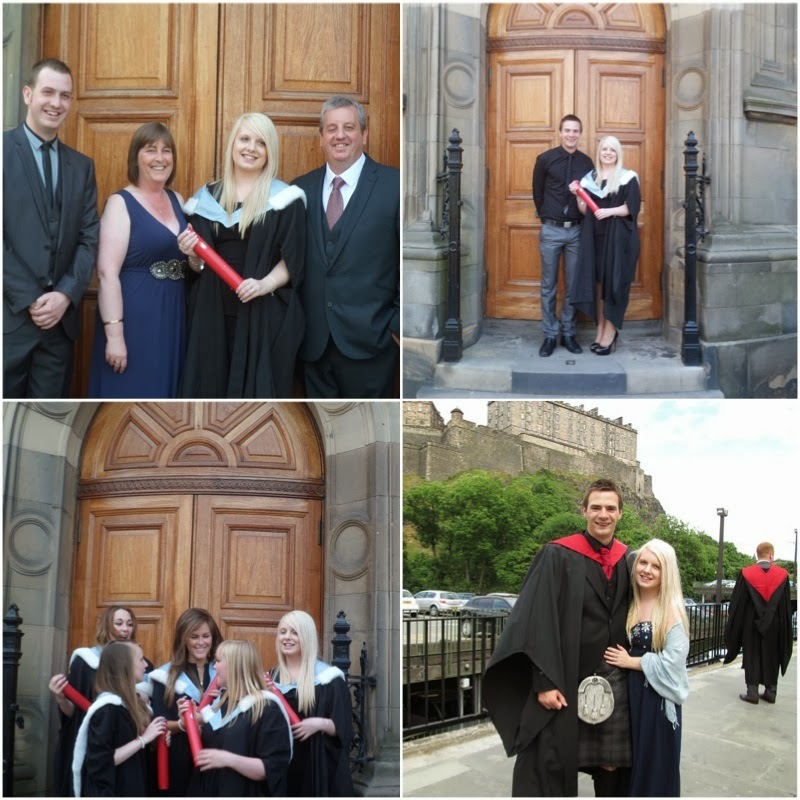 Photos from my graduation are going to be treasured for the rest of my life. It was a gorgeous sunny day. My family were all suited and booted and my friends looked amazing in their white fur hooded gowns. We had a good time posing for the paparazzi (it might well have been with the amount of cameras facing our way!) and even in my huge Kurt Geiger heels there was no stopping me heading off for a cocktail or 4 and a big slap up meal in the Living Room on George Street. Not only did I graduate in 2013 but I was lucky enough to attend my boyfriend's graduation. It was amazing to see him walk across the stage and receive his certificate. He worked really hard (and so did I as resident proof reader) and we celebrated with beautiful food, his family and a cheeky night out with his friends. 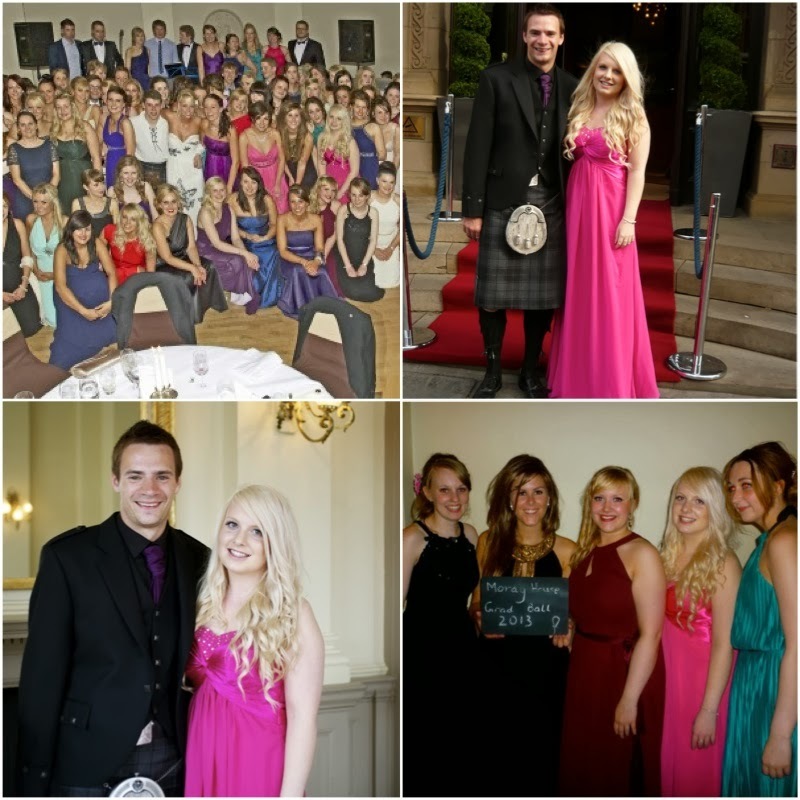 The best way to end my 4 years in Edinburgh, my 4 years of university and my 4 years near wonderful friends was a big huge graduation ball. I was on the grad ball committee and it was one of the greatest feelings seeing over 250 people in the Balmoral Hotel, all dressed up and having a super night. We had a lovely night from walking the red carpet, to prosecco on arrival. We had a very yummy 3 course meal followed by raiding the pic a mix. We did traditional Scottish dances followed by the Macarena, and dressed up as the royal family and hoola girls at the photo booth. What a night! Goodbye student days, Hello grown up, responsible adult with a full time job. 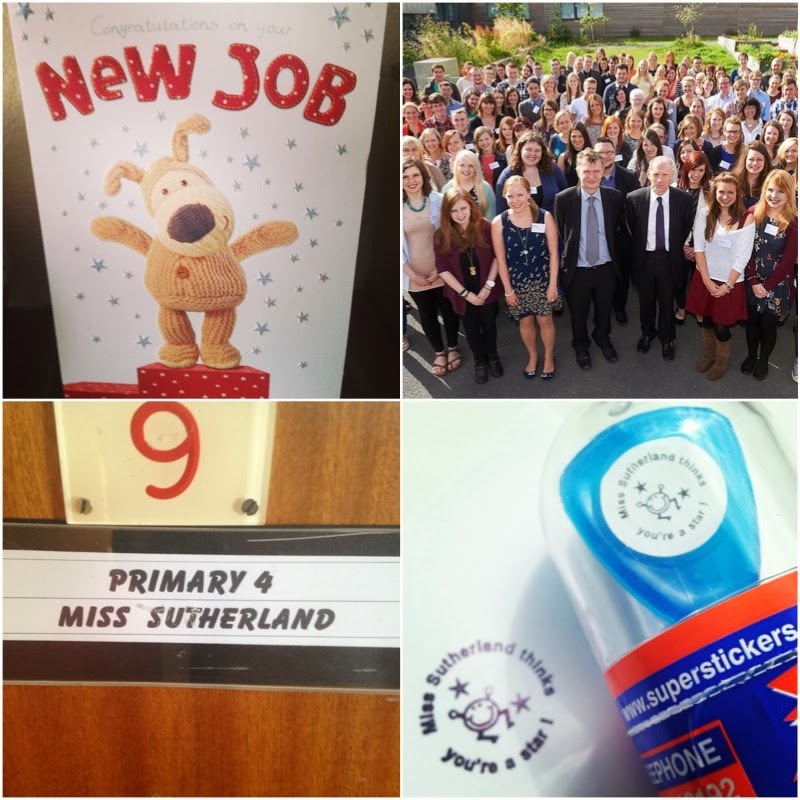 I started my first full time job - and career- in a school after the summer holidays. As a teacher to 28 lovely little 8 year olds I believe I've got the best job ever. 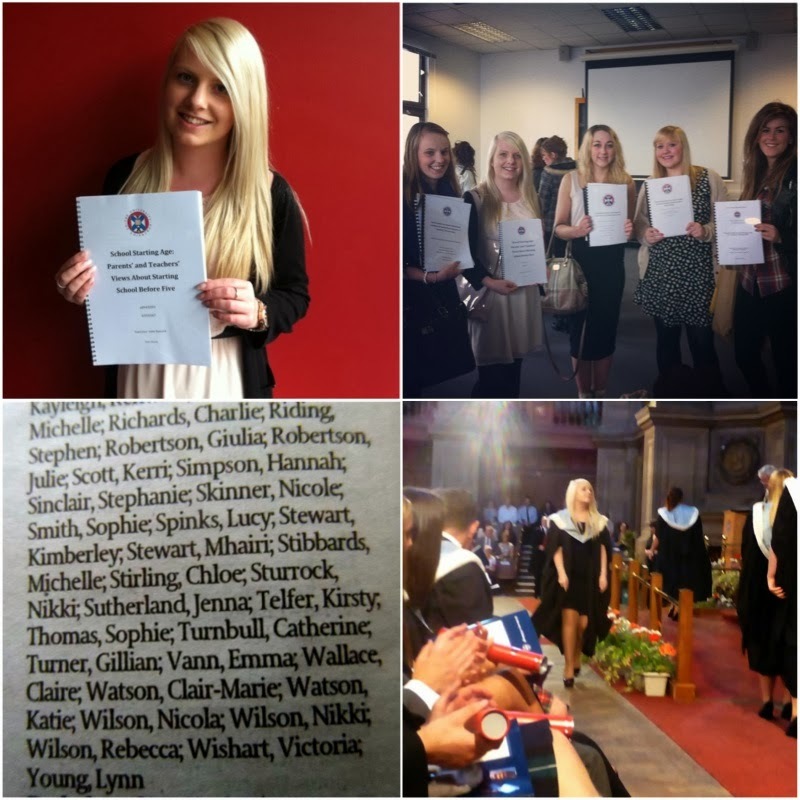 I joined around 100 other graduates to work through the probationary year in my region. I was placed in a local school with very supportive colleagues and a fantastic bunch of kids. So far we've worked hard on maths and language, gone on a boat trip, done a 5 star Christmas show all while having a jolly good time. It's been hard work, with very long days and stressful moments but I'm so thankful for it and have my fingers crossed that I can continue in a school equally as great next year. 2013 has been a great year for holidays and nights out. 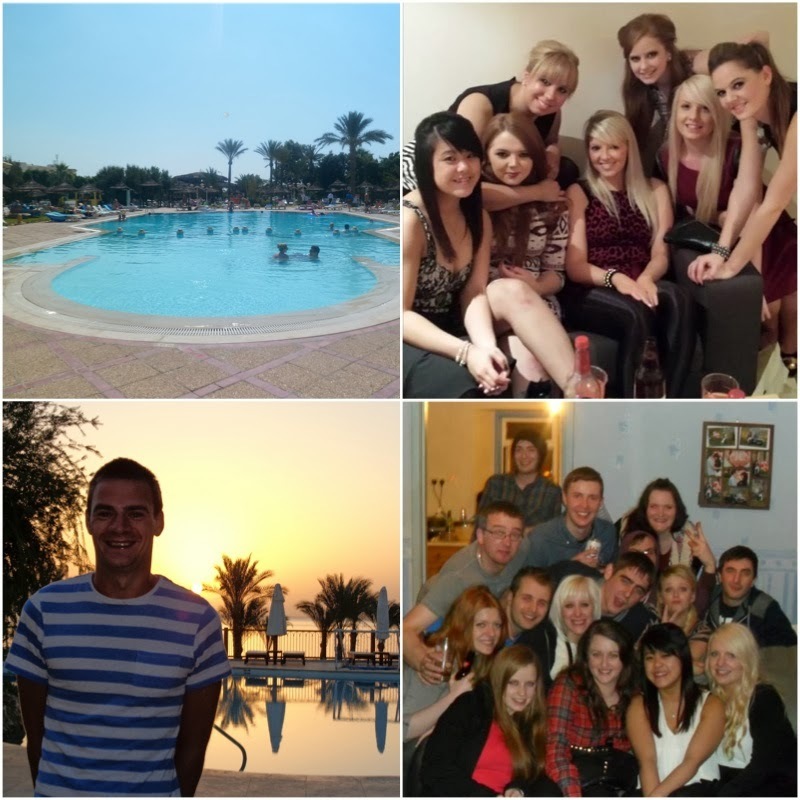 My friends from home and I jetted off to Tunisia in July to mark the end of our years of study, to enjoy the sunshine and to have some quality time together. With a lot of people back home after uni and settling into jobs we've been enjoying lots of nights out together which have been great and a right giggle. After a 1st term of hard work my boyfriend and I spent a week in Sharm el Shiekh which is fast becoming one of my favourite places. We relaxed by the pool sipping cocktails. We also won a game of bingo - a shisha pipe prize - woohoo! I said goodbye to 2013 with fantastic friends including this year's bride to be and the fellow bridesmaids. I then welcomed in 2014 with a New Year's Kiss, fantastic people and a huge feast with family. Fingers crossed 2014 will be half as good as 2013! What were your Moments That Mattered? 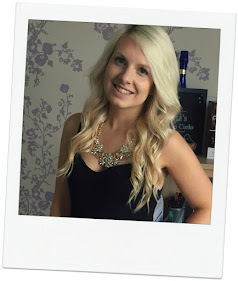 Why not do a post for your chance to get a shiny iPad mini from Lloyds Bank & Hannah.